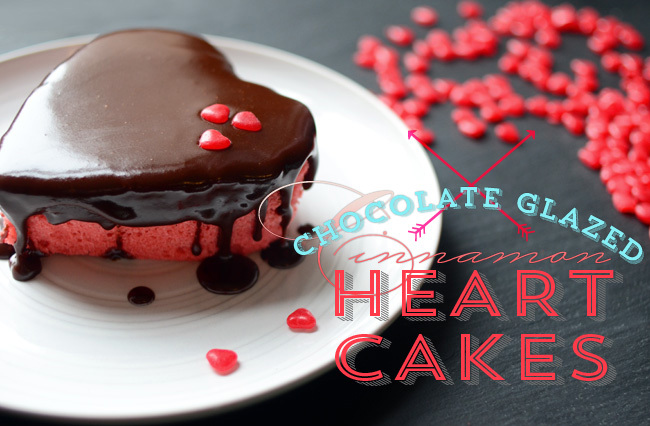 Sugar is sweet...and so are these heart cakes! Love it or hate it, Valentine's Day is here. Time to bust out those stale-chalky conversation hearts and tell your loved ones how much you care. (I happen to love conversation hearts, btw.) 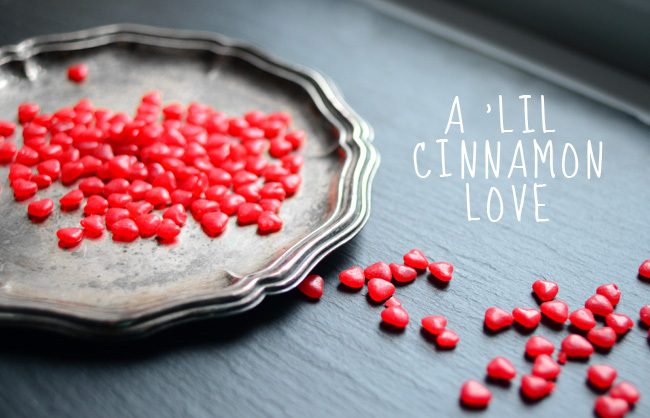 This year, I'm paying homage to these tiny cinnamon heart candies. 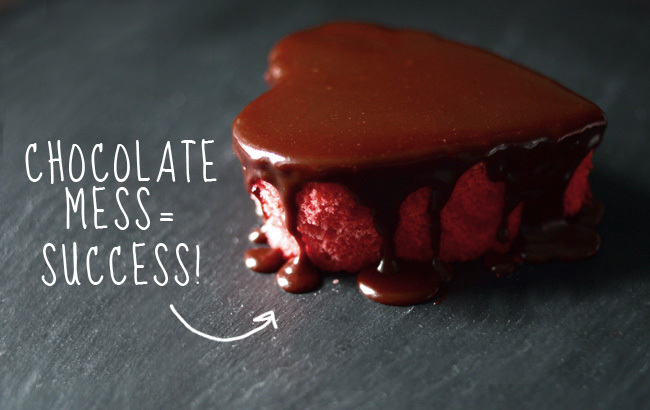 I like to eat them by the handful, but this Valentine's Day calls for a more substantial dessert. 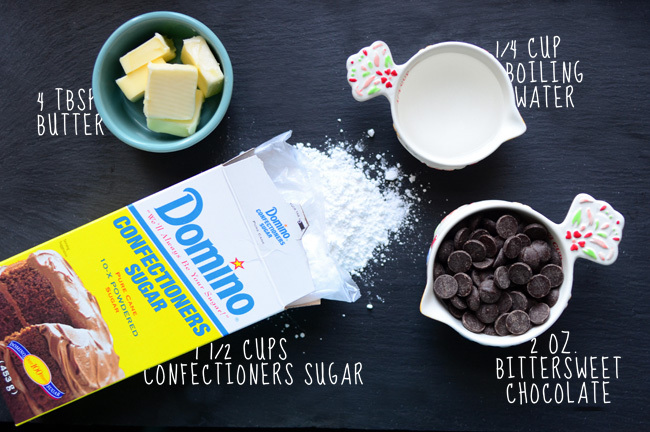 FOOD & WINE has a delicious cinnamon cake recipe–the perfect upgrade for those mini cinnamon candies. 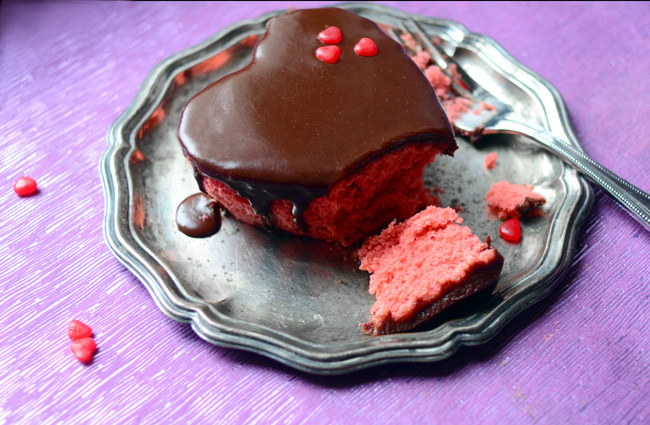 I added a touch of red food coloring, cut the cake into hearts and it seemed only natural to drizzle some chocolate glaze on top! 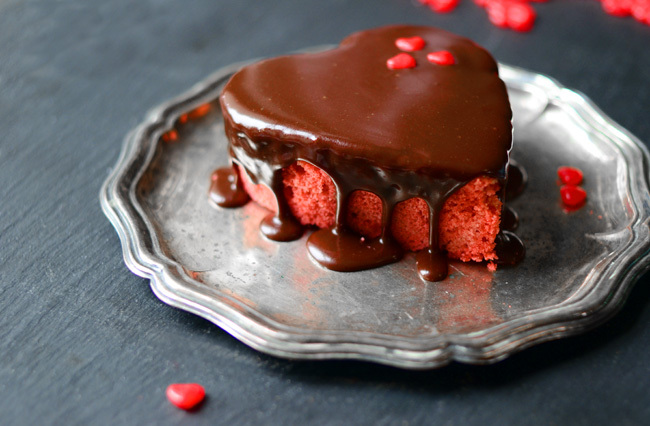 What you've got is a perfect sized cake that says 'I love you'. 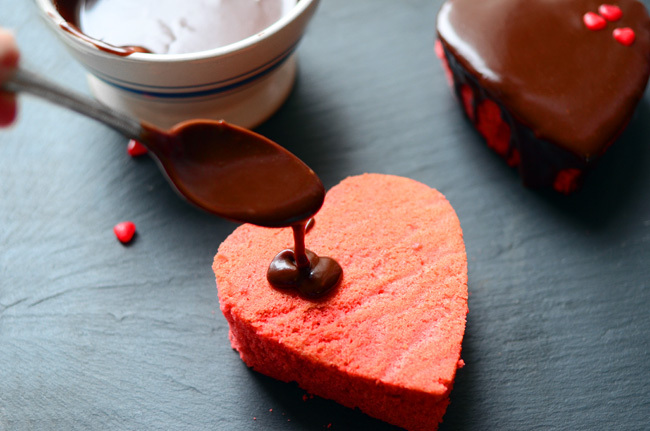 The chocolate glaze makes these mini cakes irresistible, so treat your main squeeze, your best buddy or just treat yourself and enjoy the feast of Saint Valentine. 1. Preheat the oven to 350°. Butter a 9x13" cake pan. Line the bottom with parchment paper and butter the paper. 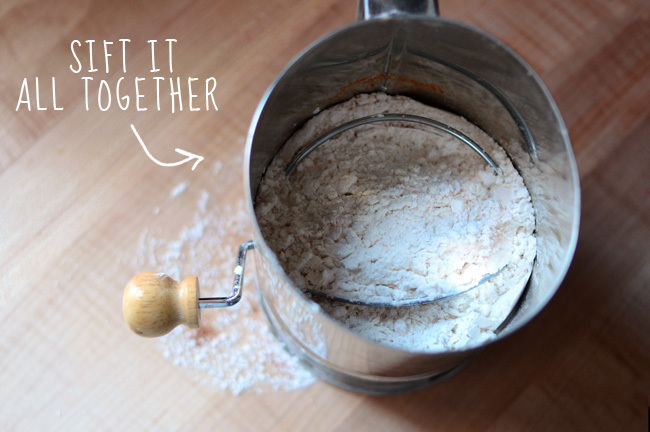 Dust the pan with flour, tapping out the excess. 2. 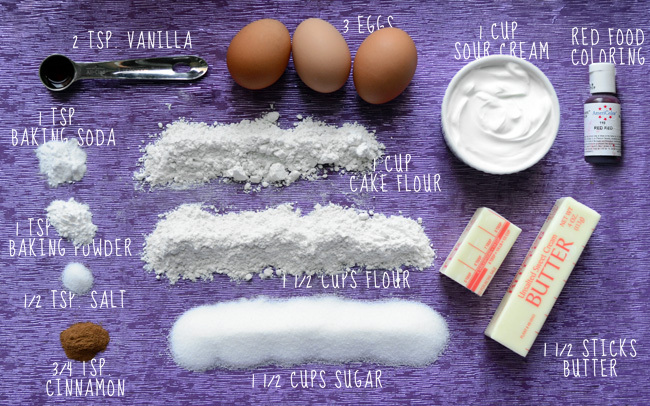 In a medium bowl, whisk the 1 1/2 cups of all-purpose flour with the cake flour, baking soda, baking powder, cinnamon and salt. 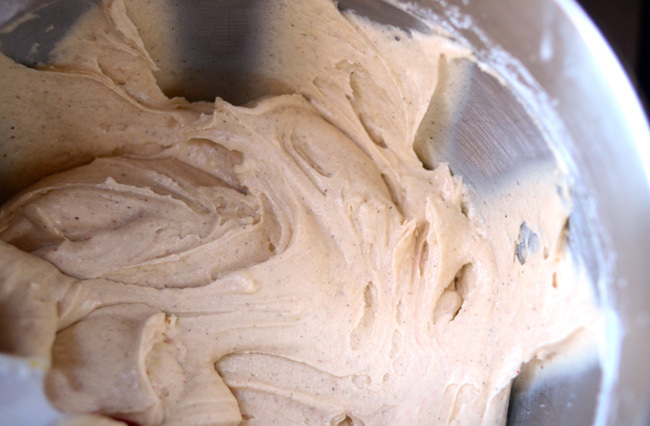 In a standing mixer fitted with a paddle, beat the butter with the sugar at medium speed until fluffy, about 3 minutes. Beat in the eggs and vanilla until incorporated. In 3 alternating additions, add the dry ingredients and sour cream, scraping down the side of the bowl between additions. Add in the red food coloring, a little at a time, until you have the desired color. 3. Scrape the batter into the prepared pan. Bake the cake on the middle rack of the oven for about 30 minutes, until golden and springy and the edges begin to pull away from the sides of the pan. Transfer the cake to a rack and let cool for 15 minutes, then turn the cake out and let cool completely. Remove the parchment paper. The color of the cake is so pretty with the flecks of cinnamon, it's sure to come out beautiful even without the food coloring. But I thought the red was perfect for Valentine's Day! 1. 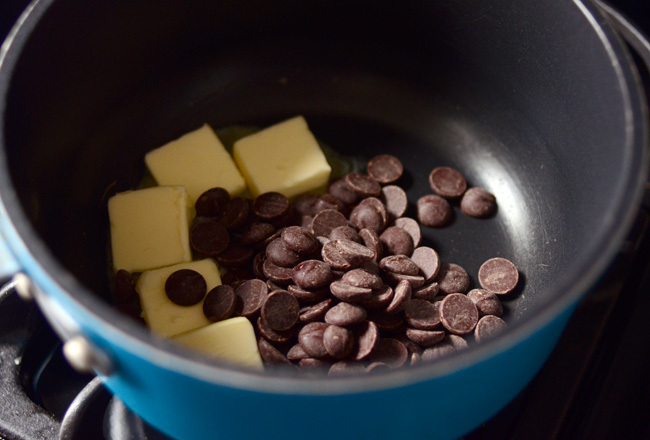 In a small saucepan, melt the chocolate with the butter over moderately low heat. Whisk in the sugar, then stir in the boiling water until smooth. Remove from the heat. Place a piece of plastic directly on the surface of the glaze and keep warm until ready to use. 1. 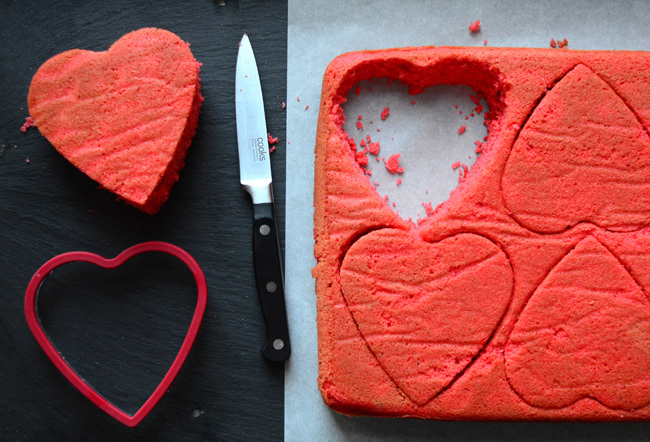 Once the cake is cooled and flipped onto your work surface, use a 4" heart cookie cutter (or just use a sharp knife) to cut 6 hearts. 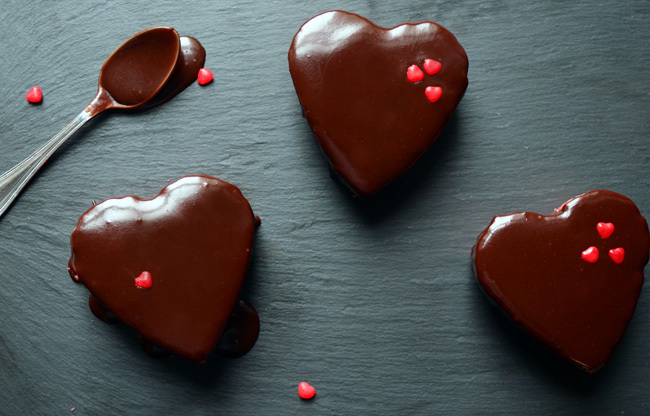 Drizzle the tops of the cakes with the chocolate glaze and garnish with a few cinnamon heart candies. 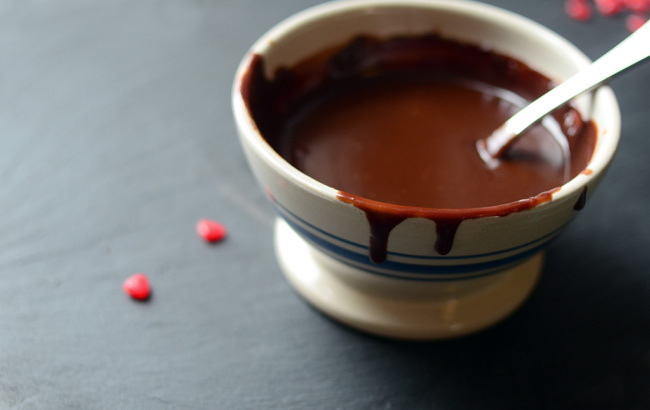 (If the glaze gets too hard, pop it in the microwave in 10 second increments until smooth again.) Let the glaze set for about an hour before serving. Store cakes in an airtight container at room temperature for up to 3 days. There are no words. Just too beautiful.